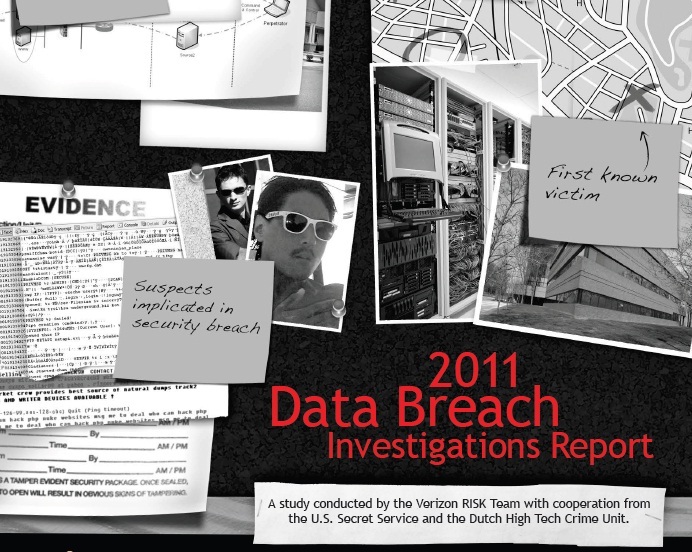 Verizon 2011 Data Breach Investigations Report Released ! Data loss through cyber attacks decreased sharply in 2010, but the total number of breaches was higher than ever, according to the " Verizon 2011 Data Breach Investigations Report ." These findings continue to demonstrate that businesses and consumers must remain vigilant in implementing and maintaining security practices. The number of compromised records involved in data breaches investigated by Verizon and the U.S. Secret Service dropped from 144 million in 2009 to only 4 million in 2010, representing the lowest volume of data loss since the report's launch in 2008. Yet this year's report covers approximately 760 data breaches, the largest caseload to date. According to the report, the seeming contradiction between the low data loss and the high number of breaches likely stems from a significant decline in large-scale breaches, caused by a change in tactics by cybercriminals. They are engaging in small, opportunistic attacks rather than large-scale, difficult attacks and are using relatively unsophisticated methods to successfully penetrate organizations. For example, only 3 percent of breaches were considered unavoidable without extremely difficult or expensive corrective action. (16 percent versus 49 percent), this is largely due to the huge increase in smaller external attacks. As a result, the total number of insider attacks actually remained relatively constant. constituted 29 percent of all cases investigated. For the second year in a row, the U.S. Secret Service collaborated with Verizon in preparing the report. In addition, the National High Tech Crime Unit of the Netherlands Policy Agency (KLPD) joined the team this year, allowing Verizon to provide more insight into cases originating in Europe. Approximately one-third of Verizon's cases originated in either Europe or the Asia-Pacific region, reflecting the global nature of data breaches. A complete copy of the "2011 Data Breach Investigations Report" is available for download.